Designed by Aecom and constructed by Matrix Networks, the brand new on-site primary substation has recently been completed and commissioned. Energised initially with 6MVA at 33kV, a second phase will follow to supply an additional 19MVA to provide a total of 25MVA from the grid. The substation is supplied at 33kV from Sutton Power Station to the north and from Histon grid to the south. Whilst the 33kV switchgear is adopted by UK Power Networks, the DNO, the 11kV A&B supply side has been retained to control supply to the data campus including the distribution of on-site generation. Site adjacent to Sutton Power Station provides opportunity for Energy from waste or biomass generation. Camro has planning permission for an on-site energy centre. Fuelled by natural gas CHP electrical power can be scaled from 7Mw with an option to scale up to c.49MW. Gas CHP provides low cost energy, plus tax benefits through low carbon on-site generation and enhanced capital allowances. 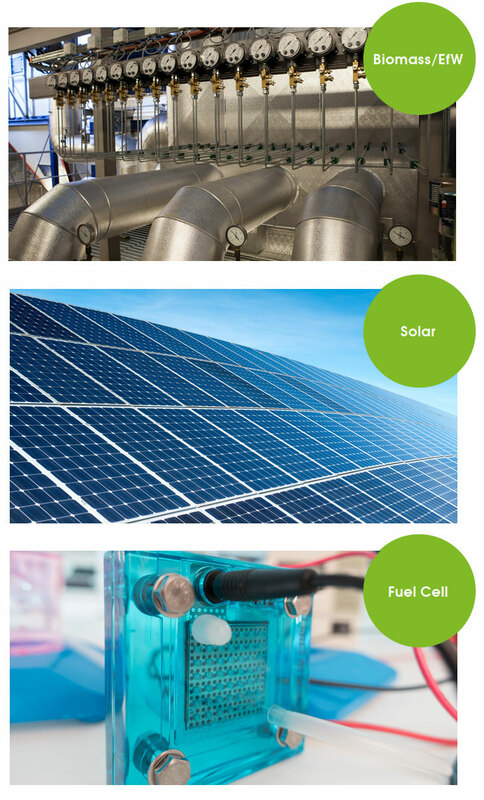 Subject to planning, expansion land provides opportunities for additional renewable energy options such as fuel cell and solar to benefit from low cost, secure power.